We had a great product, we had enthusiasm by the truckload and ideas coming so fast I couldn’t keep up with them. We’d gained seed investment (thank you Grocery Accelerator and Start up Funding Club). At that time, I was as focused on creating recipes that would help heal different ailments and nurture the body to alleviate symptoms. So, the name “Eat to Beat” is what we shared when we presented to the investors. This felt pretty good to us and wasn’t enough to put off our investors. However, when they asked whether we were precious about the name, we knew that a change was in sight. Over the next couple of weeks we exchanged emails, phone calls, doodles and hysterical laughter. When Dan was in Naples on his Pizzaiolo training, he, my sister and I were emailing names late into the night. There were tears of laughter, resignation, jubilation and absolute despair. • BreadWhiz … Oh yes, you heard it here first! (Look up Shewee and Whiz to see why this would never work) Add MuffinWhiz and BiscuitWhiz and you see where this one’s going! We had to get this sorted, as we had a tiny timeframe before we’d lose investment opportunity (April being the cut off). In desperation we checked out a translation site, inserting words like, Bread, Health, Food, Tasty, Delicious, Life … you get the gist. Two words that came up time and again across about 20 languages were Manna (Bread/Food) and Vida (Life) … Hey! We’d cracked it! Over the next couple of years we were asked repeatedly what MannaVida meant. And, given our artisan “wood fired” background, we were mistaken for coming from Spain, Mexico, Brazil … nothing wrong with that you might say. But we’re a straightforward British company and proud of that. We needed a name that meant something to someone other than us. 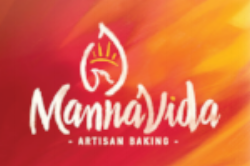 Over the time we’ve been trading as MannaVida we’ve been fortunate to meet loads of amazing people, at trade exhibitions and the Coeliac UK and Free From Festivals. One thing we’ve found (especially with our consumer fans) is that the more they know us, the more they feel able to ask. It became clear that most people associated our business and products with me: from creating the breads to chatting and demonstrating how easy they are to make. 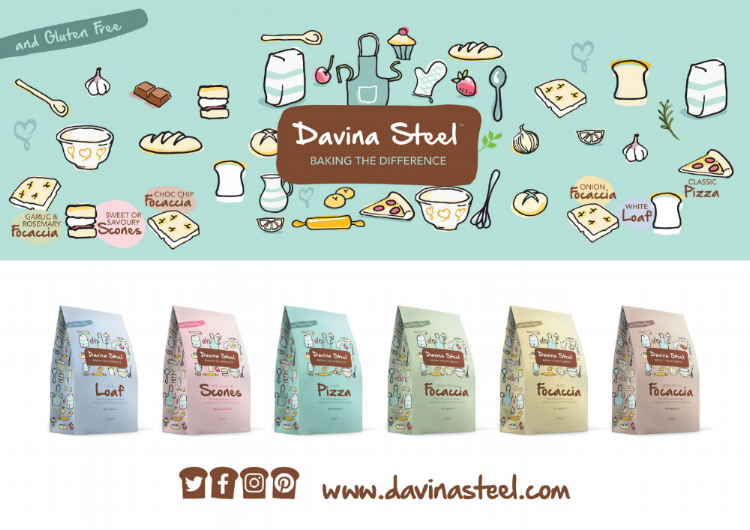 So the decision was made for us and we rebranded to “Davina Steel … Baking the Difference”. Everyone said it was a brave move (which roughly translates as a truly crazy thing to do). In the short time since we’ve changed our name (and undergone a total rebrand - thank you Wonderstruck Brand) we’ve had amazing feedback. And retailers that loved our products but balked at the name and branding are now happy to revisit. Finally, we have it right! How did you create your business name? Mail me - Davina - your story and I’ll publish the best.